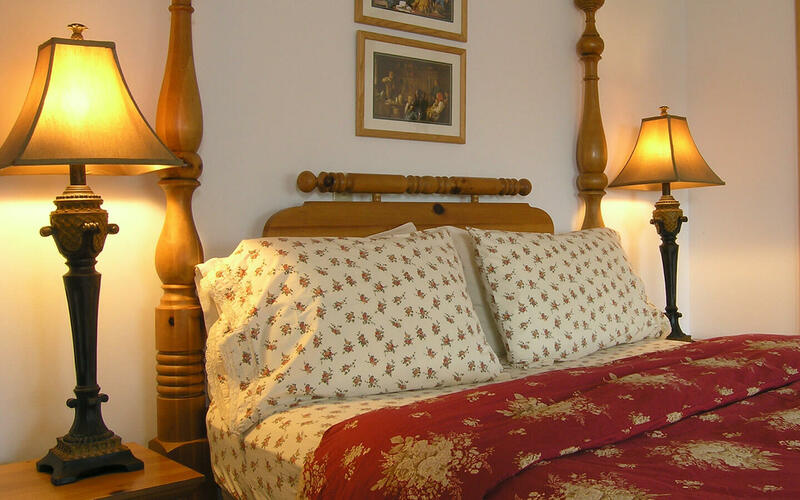 This room at our Amish Country bed and breakfast in Lancaster, PA is a great choice for a romantic getaway or honeymoon. It features high ceilings with open beams that lead your eye to the south lawns. 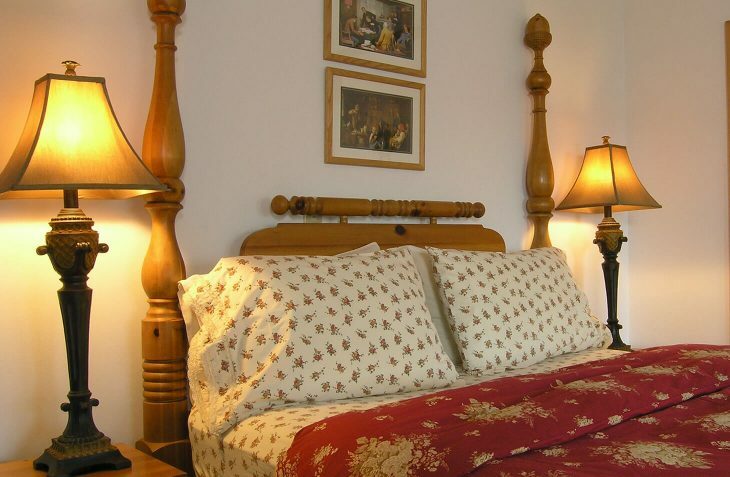 A large queen acorn four-poster bed dominates the room, along with a beautifully hand-painted armoire. The red-and-white tiled private bath features a Jacuzzi. 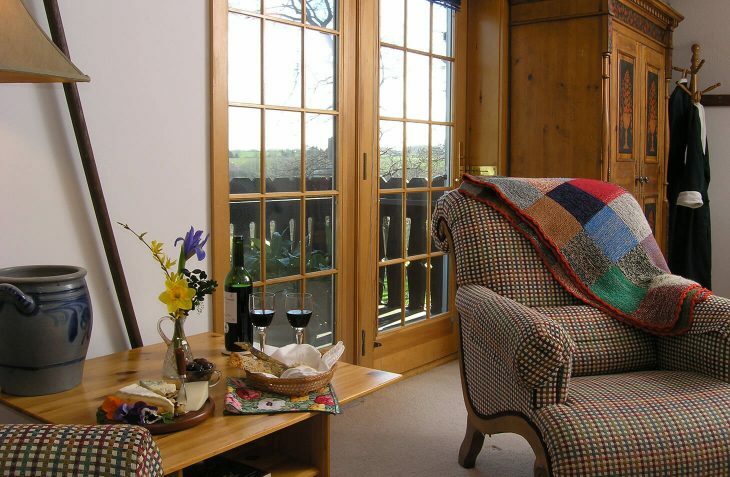 Upholstered chairs and an ottoman provide a nice spot to read in front of the south-facing French door, which leads out onto the balcony. From this second-floor spot, you will find a view of the gardens and Speedwell Forge Lake.